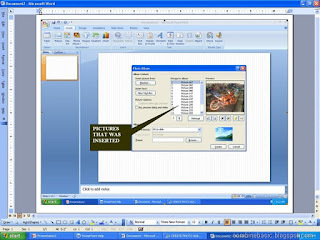 Photo album presentation is one of the unique presentation can be made using the Microsoft PowerPoint 2007 Presentation. That you can display your personal photo, company or business photos. You can format it using the effects tools menu that can grab so much attention to your viewer using the transition slides. Create a stunning backgrounds, themes and particular layout of your presentation. And after adding your different pictures you can simply add your own caption through your photo album. 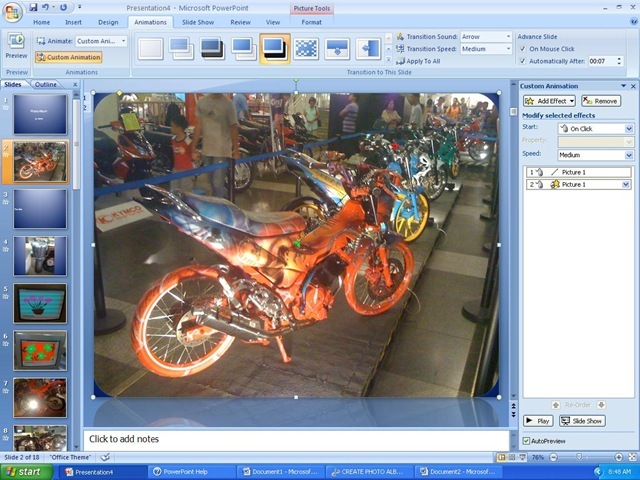 And you can adjust the presentation layout and you can add frames in every pictures that you have in your slides. Lets start to create this Photo Album Presentation. Be sure that you have a numbers of pictures in the drive of your computer or stored in your USB Flash Drive. Then click/ select the pictures by holding ctrl key then click of the mouse every pictures of your album you want to present. 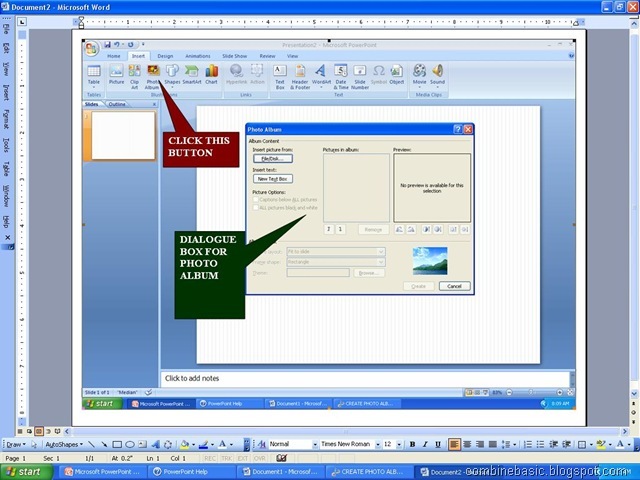 Also, if you have some problems with creating some Power Point presentation I can recommend you to use this website. There are much stuff for creating and editing our Power Point presentation such as templates, diagrams, infographics and so on. Hi Alfred my isp is idled,now I'm back here thanks again for your reply. And thank you also for your offer and information. Can I ask your email?